I hate getting a new phone. Why? I have to remember my passwords. And, more often than not, I don’t. If you're like me, with so many social media accounts (I have three alone on Instagram), it gets tricky to keep those passwords straight. Instagram is without a doubt my favorite social media platform. It happens to almost all of us. It could be you’ve got a new device, like me. Perhaps you want to reset your Instagram password, but you can’t remember your existing password to do so. Maybe you’re practicing Instagram marketing for your business, and the person who set up the account left the company. 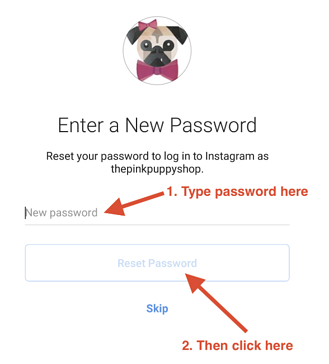 Whatever your reason, when you find yourself stuck trying (and failing) to remember your Instagram password, here’s what to do. Note: If you try signing in with the incorrect login details, the below image will appear. Click on the option that says “Send Email,” then jump ahead to Step No. 4. 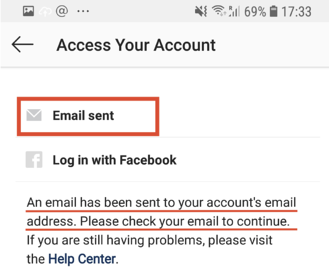 At the next step, you’ll be asked if you want Instagram to send you an email, or if you want to log in with Facebook. In this tutorial, I’m demonstrating how to log in with an email address. This is my preferred method of password recovery. 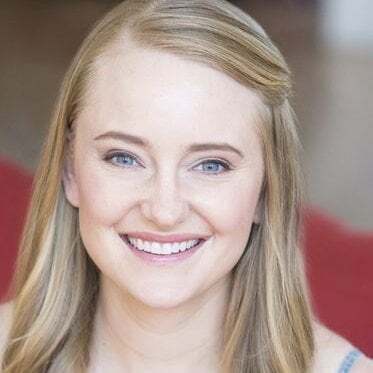 As I have multiple Instagram accounts, they are not all connected with my Facebook profile. 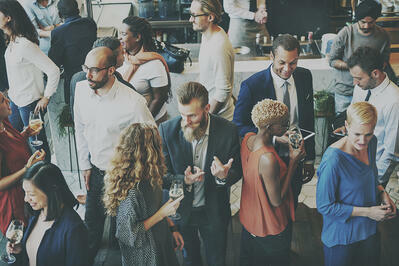 Email is also the preferred method to recover your Instagram password when you are running a business account. 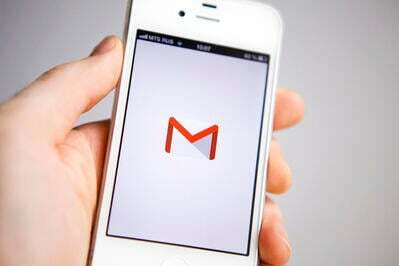 A screen will then appear informing you that an email has been sent. 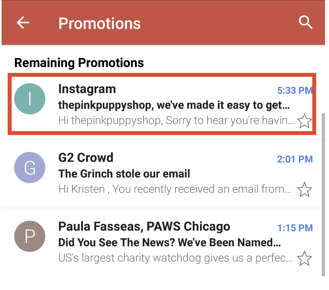 Once you’ve opened your email from Instagram, you’ll see a blue button with your Instagram account username. Enter your new Instagram password, then tap the “Reset Password” button. Note: The “Reset Password” button will become blue after your type your new password. Before this, you cannot click on it. Still struggling to log in to your Instagram account? 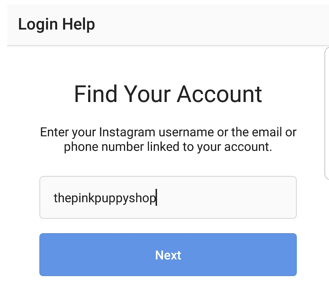 Whether you’re missing the email from Instagram or you need your Instagram email address too, you’ll find your solution here. Why didn’t I get the password reset email from Instagram? If you’ve given it a good 10 minutes and you’re still waiting, make sure you have a strong internet connection. If you were in a spot with spotty WiFi or poor reception, go back to step No. 3 and try re-sending the automated Instagram email. Next, it’s time to check the other folders in your email’s inbox. For example, I have Gmail, and my forgotten password email from Instagram went to my “promotions” folder. Make sure to check all potential folders on your email account. If you still don’t see the email, you may need to reset your spam filter. 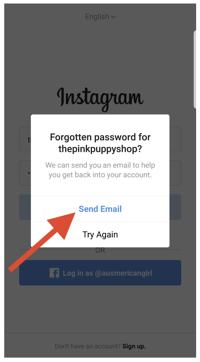 Then, go back and follow the steps above to request a new password email from Instagram. What if I forgot my Instagram password and email address? So you don’t remember your email address either? Well, you won’t receive any judgement from me! I’m currently managing six email addresses (I think…) so I completely understand how you can forget which email address goes with which account. Hopefully, if you can’t remember your email address, you can at least remember your username, phone number, or Facebook account associated with your account. 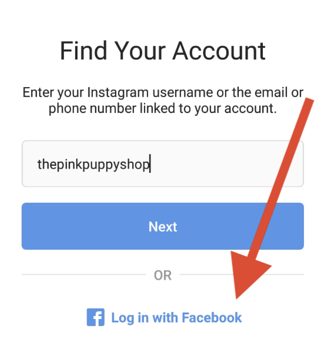 You can still reset your Instagram password with a phone number or Facebook account. The steps will be simple to the instructions shared above. 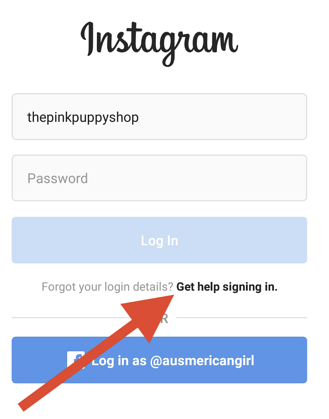 To log in to Instagram using Facebook, open Facebook and tap “Get help signing in,” as shown in step No.2 above. From there, you will be asked to enter your Facebook login details. You will then be able to enter and save a new password. If you’re tired of logging in to digital platforms (and remembering those email accounts and Facebook passwords!) you can also reset your password using your phone number. On the next screen that appears, (step No. 2, as pictured above), enter the phone number associated with your Instagram account. You will then receive an SMS (text message) from Instagram. From here, you can reset your Instagram password. I can’t access the email address associated with my Insta account. What do I do? 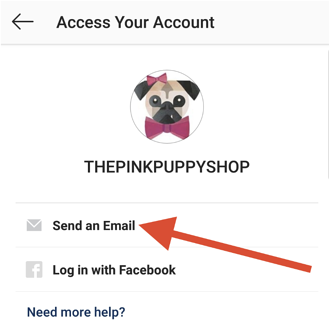 If you no longer have access to the email address associated with your IG account, you can still create a new password with your phone number or Facebook account, as shared above. When those avenues also lead to dead ends, Instagram recommends contacting your email provider. What happens if I enter the wrong IG password too many times? If you’re pretty sure you know your Instagram password, but can’t seem to get those characters just right, Instagram will only give you so many attempts. When you try to log in with the wrong password too many times, Instagram will temporarily lock you out of your account. On your screen, a notification will appear, asking to send a text to your Instagram phone number. You'll need to then verify your account through that text message.